Oneida Research Services, Inc. (ORS) specializes in Internal Vapor Analysis (IVA®) services to quantitatively measure the primary and trace gases inside hermetic components. The gas content inside sealed components, particularly moisture concentration, can cause long term reliability problems such as corrosion, fogging, leakage, current bit errors and lubrication issues. Known to some as Residual Gas Analysis (RGA) testing or “Mil-Std 1018”, the test measures the primary sealing gases and trace gases. It is ideally suited for process development, sealing quality control, studying long term out-gassing of the enclosed materials inside the components, and for product qualification. Applications include a wide range of industries such as Microelectronics, Large Hermetic Modules, Metals, Ceramics, Telecommunications, Food, Medical Devices, Pharmaceutical, Packaging and Illumination. IVA® has been a core technology of ORS for almost 40 years. We have Suitability status from the DLA Land and Maritime (DLA) for qualifying military devices according to Mil-Std-883 TM-1018 and Mil-Std-750 TM 1018. For commercial applications, we conduct the test per our Commercial Practice Test Method MEL-1053. Our DLA Suitability status is intended for the qualification of military devices and we are prohibited from changing any test parameters described within the method. However, there are many instances where the test parameters used for military applications is inappropriate for commercial product or process development studies (e.g. sample test temperature and sample pre-bake requirements). Our Commercial Practice Test Method MEL-1053 exceeds the instrument and calibration requirements of the Military Standards. The ORS commercial practice test method represents best practices for R&D and process monitoring applications. ORS has also been the leader in HR-IVA®, the High Resolution Time-of-Flight mass spectrometer system is used for measuring samples with an internal free volume cavity as small as 1nl (1X10-6cc). Both systems were designed and manufactured by ORS. Please view our IVA® & Leak Test Equipment web page for more information on acquiring this technology for use in your facility. In parallel with Internal Vapor Analysis, ORS offers additional analytical techniques for the Qualification and process development of polymers, epoxies, coatings, and adhesives used in passive or active components. Outgassing of solvents, extenders, or reaction by-products and their deposition on critical surfaces can be a reliability concern. Residual outgassing products can be monitored and quantified by the following methods: Internal Vapor Analysis, Static headspace analysis by GC/MS, and ampoule analysis. This test procedure is used exclusively for testing hermetic devices in accordance with Mil-Std-883 or 750, method 1018, procedure 1 per the conditions of “Suitability” status granted by DLA Land and Maritime (DLA). No variations are permitted to this procedure or to the device test conditions. Furthermore, all tests performed per this procedure are subject to inclusion in the annual retention report to DLA and all records regarding these tests are subject to audit and inspection by the U.S. Government. 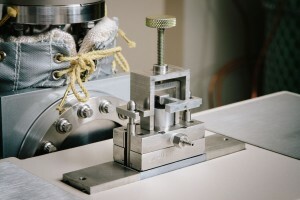 This test procedure is used for testing hermetic devices in accordance with ORS’ Commercial Practice for Internal Vapor Analysis. This test method extends the scope and capabilities of traditional Mil-Std-883 or 750, method 1018 analysis. It permits variations to the procedure and/or device test conditions to achieve the best test conditions for specific client applications. Client specific protocols may be established for maximum accuracy and sensitivity for product monitoring applications, process development, R&D, materials evaluations and failure analysis projects. The data is not subject to inclusion in the annual retention report to DLA and all records regarding these tests are confidential. 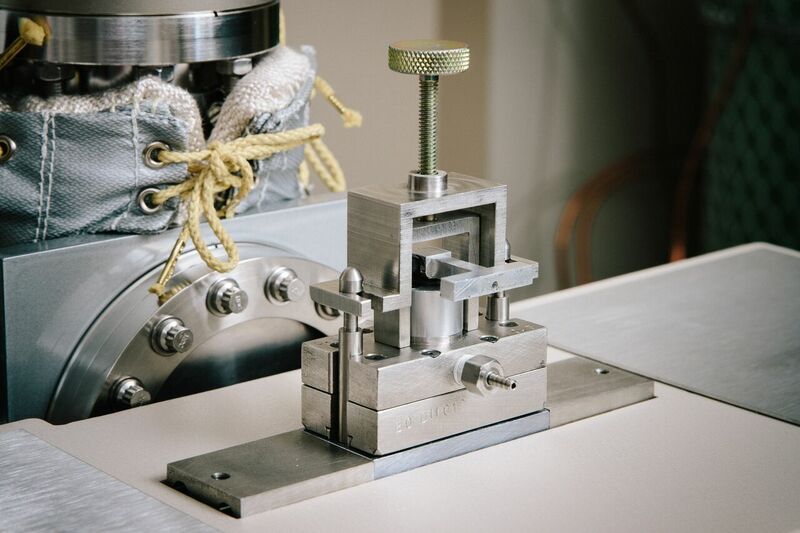 This test method quantitatively measures the process sealing gases sampled from sealing chambers and/or gas supply lines using a specially prepared sampling cylinder. Sampling procedures are described in the instructions provided with the sampling cylinders. Contact ORS for availability and rental of sampling cylinders. Our experienced technical and sales staff will be happy to discuss your specific application in detail with you and recommend a test plan that will fit your individual needs. To submit samples for gas analysis, simply print out our IVA® Sample Submission Form, enter in the appropriate information and mail the samples and submission form to ORS.